Purchased this because I love the look and it appears to be very discreet. I can fit about one and a quarter cans of Nick and Johnnys mint in this and the catch for used snus is quite large. This is a must have for anyone who works in a place that frowns upon tobacco use, such as a hospital. The can is very discreet, almost looks like a hockey puck from a distance. 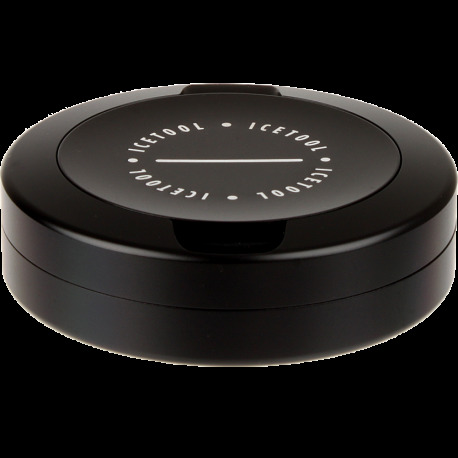 The lid only says "Icetool" on it so that adds to the discreetness of it. It is not overly heavy, but has the weight of something that is well made. Hopefully it holds up to the test of time! Overall, great product and a must own.